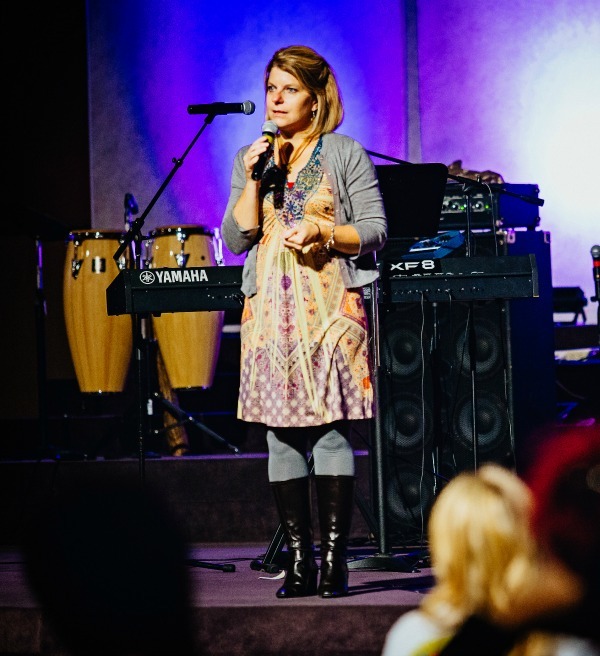 A master storyteller and Bible teacher, Brenda designs her speaking for each group or event. With diverse professional and personal experiences, Brenda knows how to communicate to a variety of audiences. She delivers inspiration and encouragement with honesty, authenticity, and humor. Bible Teaching: Brenda’s gift is bringing Scripture to life. Brenda communicates God’s Word through the eyes, thoughts, and feelings of those who walked the pages of Scripture. 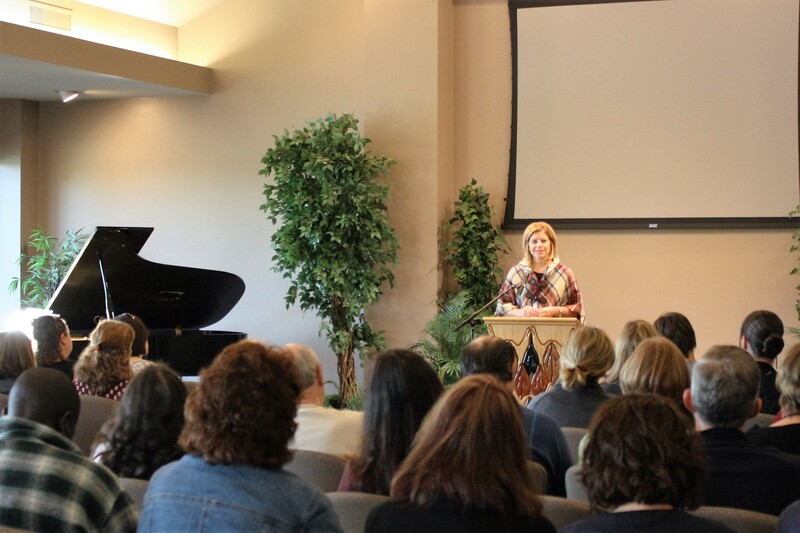 She passionately shares biblical themes or scriptures that audience members can personally apply to their lives. Brenda is available to speak for church events or as a Sunday morning special guest. For a preview, click here. Parenting: As a mom of four, a licensed mental health counselor, and experienced teacher and school counselor, Brenda speaks on a wide range of parenting topics and current parenting challenges. Brenda shares with humor and authenticity the joys and struggles of parenting while giving practical tips for current problems. She can tailor a parenting topic of your choice for your group. Women’s Events & Retreats: Brenda’s humor, authenticity and personal touches makes her a popular speaker for wom en’s events, conventions, and weekend retreats. A master teacher and storyteller, she weaves biblical principles into inspiring messages for women and gives the audience practical applications for their lives. Brenda tailors messages for retreat and event themes, but also often speaks on: motherhood, God’s character, women’s issues, grace, body image and identity, parenting, mental health, relationships, and authentic living. Click here for popular event and retreat topics. Teen Events: Brenda has worked with teens for over twenty five years as a teacher, counselor, youth leader, mentor, therapist, and parent. She speaks to teens on a variety of topics, including her popular seminar, Blurred Lines: Being Real In An Artificial World. Brenda’s spoken at national youth conferences and also local youth groups. Brenda also has a variety of parenting seminars for parents of teens. Keynote Events: Brenda is available to keynote for your fundraising or professional development event, whether for your annual fundraiser, community business group, or conference. Outreach Events: Brenda’s gift and passion is sharing the good news of grace, forgiveness, and redemption through a personal relationship with Jesus Christ. Brenda is a popular speaker for outreach events as she graciously and humbly presents messages that invite guests to consider the gospel message. Seminars and training: Brenda is a popular seminar speaker on topics from parenting, writing, social media, women’s issues, child abuse prevention, marriage, ministry, and mental health topics. Hope Beyond the Picket Fence: Brenda shares authentic faith in the struggles of life. Brenda shares how to live with genuine faith when life’s reality is far from the storybook image and gives hope when life’s expectations are shattered. For speaking engagements, contact Brenda at brenda@brendayoder.com or call 260-336-3387.